In 1985, after an Earth Science degree at Oxford, Ian joined Amerada Hess Limited, the UK subsidiary of Hess Corporation, as a geologist. He initially worked on producing North Sea fields as well as on developments such as the giant Scott field. 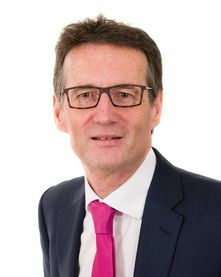 After playing a leading role in the West of Shetland exploration team which discovered the Strathmore oil field, in 1991 Ian joined the company's nascent international business in a new ventures role. While working predominantly in the Far East and Australia, Ian also led technical projects in Venezuela, Algeria and Azerbaijan. He left Hess for OMV in Vienna in 1998, where he took on a combined technical and commercial business development role. He led the successful acquisition of Cultus Petroleum NL in 1999, the first ever hostile international takeover by an Austrian company. While at OMV, Ian worked on a diverse range of upstream projects across the globe. He returned to the UK and to the North Sea in 2007 when he joined Energy Development Partners as Commercial Manager. He has managed Aurora's business since inception. Ian is a council member of UKOOG, the trade body representing the onshore oil & gas industry.